This tool gave me the availability to get an academic license for my study project. 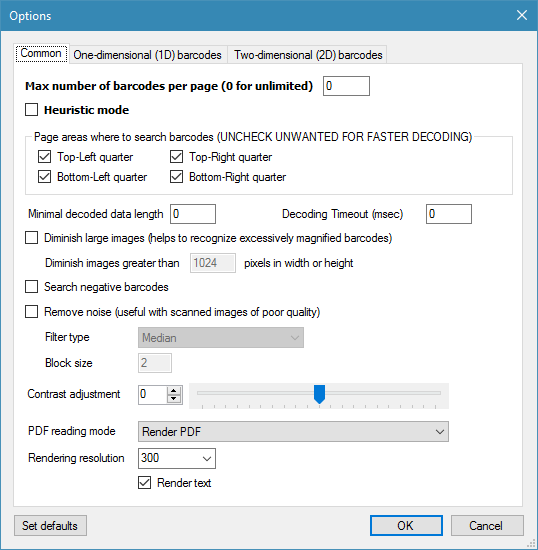 I mostly use it for reading barcodes from PDF-files and splitting multi-page PDF files into single-page files. 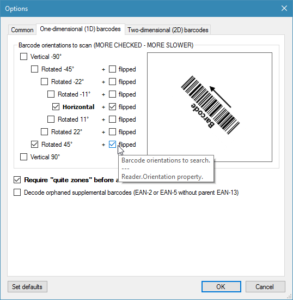 Not sure about barcodes and what type you should use? You’re not alone! Royalty free licensing (no additional run-time licenses or additional fees on bar code reader). 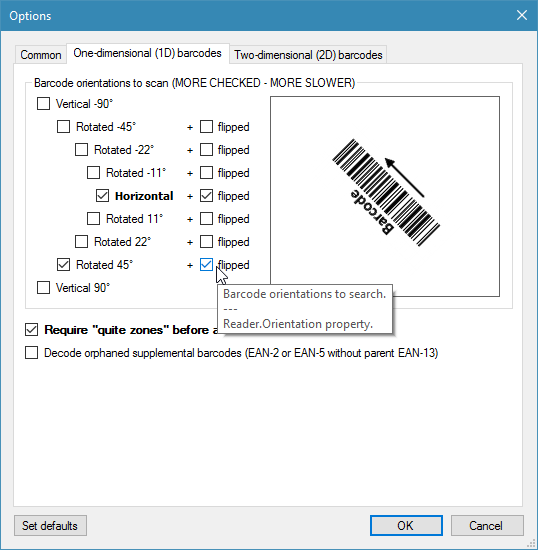 Why choose ByteScout BarCode Reader SDK? We implement sophisticated technologies in most of our tools to get a better solution for your needs. If you need learning and training material, we’re happy to provide source codes and documentation. All the products have a friendly developer interface and make it easy-to-use for programmers worldwide. If you still haven’t used our support, we would be glad to answer your questions. Our customers share their impressions of the support desk here. 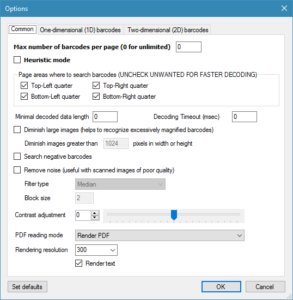 Reads 2D barcodes: PDF417, Datamatrix, QR Scanner (QR Code), Aztec, MaxiCode, MicroPDF, CodaBlock F, Code 16K, MicroQR Code (2D), HanXinCode (2D) – NEW! 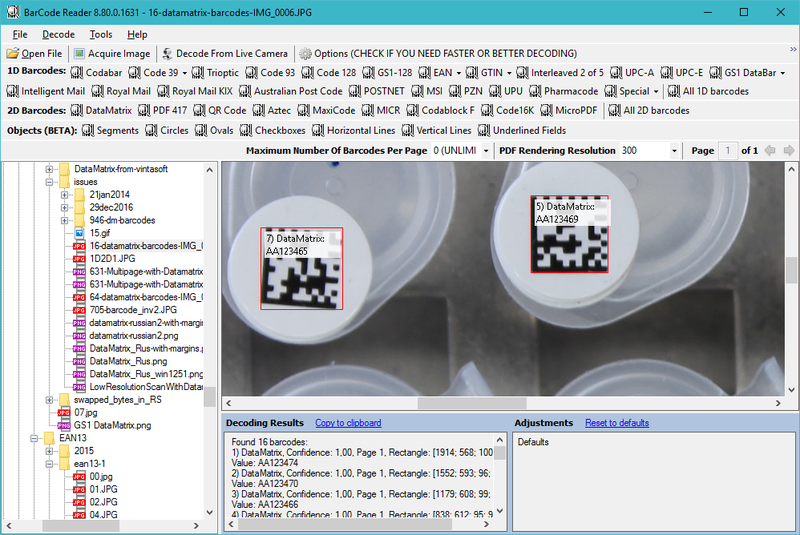 Supports acquiring images from scanner or other still imaging devices using WIA (click to see code samples). 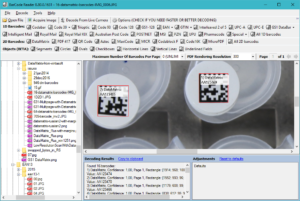 In Financial Technologies, you can recognize and process each scanner tag on your records. 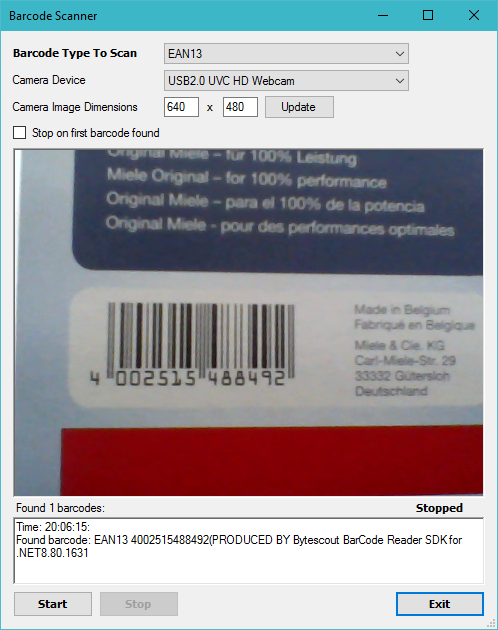 You can even associate it with a camera live stream to examine standardized identifications on-the-fly.